Since I've been posting my Morocco posts lately, I've been getting a few questions about the actual logistics of my trip so I thought I would write this post! 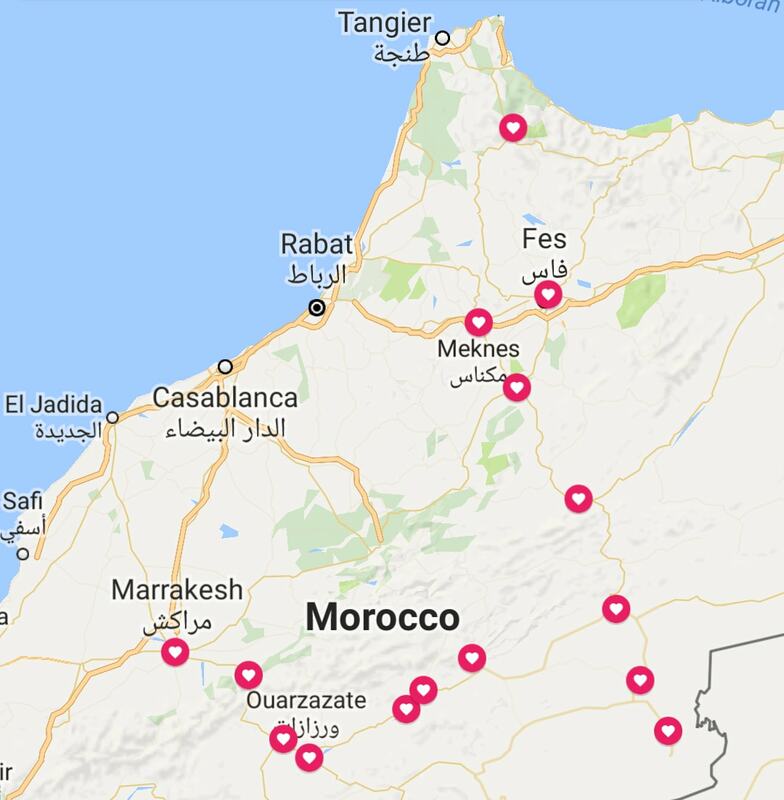 When planning our trip, the first think I noticed is that Morocco is a big place! And unless you want a flying trip (not our style) or have a gizillion pounds and times (not our situation) then you are not going to be able to see everything. You need to compromise - our compromise was no coastal areas and we tried to buy as much time as possible by not booking return flights. Instead we flew into Fes and out of Marrakech - that meant we didn't have to double back to somewhere we had been before. Next when planning the trip you need to decide on the budget/luxury expectations you have - for us, we did not want hostel/backpacking level (which is crazy cheap and easy to do in Morocco by the way) and we wouldn't want royalty standard. Instead we wanted comfortable with a bit of luxury but not crazy - we're not afraid of a bit of dirt and grime! Another point is you could take quite a relaxed approach to planning and organise a lot when you arrive, but I like knowing what's what and getting things planned in advance! We knew we wanted to move around a lot but didn't want to hire a car or book taxis on an ad hoc basis. So before we left I talked to a lot of different companies about what we were looking for and settled on Fes Morocco Tours - website email who were the only company willing to do the custom tour we asked for in three days (except from one other who was also double the money). The communication we had with them throughout the process was spot on, very clear and the actual trip was great. Our driver Abdol was fab - great driver, not pushy at all when it comes to sales and we weren't toured around places to buy, instead we were taken to the sights (especially when he saw how into photography Matty is). He was also concerned about keeping us safe and gave us tips to avoid getting sick, etc. We flew into Fes and stayed at the beautiful LE JARDIN DES BIEHN. Once settled in, the next day we took a private walking tour of Fes organised by the hotel. Be aware the guides do try to get you to buy stuff and sometimes you have to be firm! Then Abdol picked us up as a separate taxi ride from the tour to take us to the Blue City which is about 4 hours North of Fes! A lot of people only go to Chefchaouen for a day trip from Fes or Tangier and I would strongly recommend against this - with such a big drive either side of the visit you'll be knackered and only get to see a little bit of the town. Plus, if you want good photos you want a nice early start one day! After a couple of nights there, we met back up with Abdol and got on our road trip. When we hit the road, our first day was quite a big one and we saw some amazing sights and eventually ended up in the Sahara desert! We dropped our stuff at the hotel and then jumped on the camels to our desert camp for the night! The next day we were back on the road and travelled before staying in Ourzazate. After Ourzazate we then made our way through the Atlas mountains before arriving in Marrakech. After being on the road for a while we knew we wanted somewhere luxurious to relax in the city - so we stayed in the gorgeous Riad Yeux Les Blues and enjoyed three days in Marrakech taking it all in before flying from there.